On the 28th (Sun), steep yourself in history at The Perth Mint, then appreciate the history behind Kings Park War Memorial, and then admire the natural beauty at Kings Park & Botanic Garden. 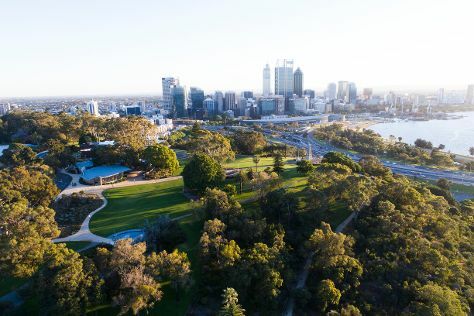 On your second day here, explore the activities along Swan River, then steep yourself in history at Fremantle Prison, and then don't miss a visit to Monument Hill War Memorial. For maps, ratings, and tourist information, use the Perth road trip planner . London, UK to Perth is an approximately 20-hour flight. Due to the time zone difference, you'll lose 8 hours traveling from London to Perth. Traveling from London in April, expect nights in Perth to be somewhat warmer, around 15°C, while days are much hotter, around 31°C. Finish up your sightseeing early on the 29th (Mon) so you can travel to Esperance. Esperance is a town in the Goldfields-Esperance region of Western Australia, on the Southern Ocean coastline approximately 720km east-southeast of the state capital, Perth. Start off your visit on the 30th (Tue): view the masterpieces at Cindy Poole Glass Gallery, then tour the pleasant surroundings at Twilight Bay, then cruise along Great Ocean Drive, and finally make a trip to Esperance Whale Tail. To find traveler tips, reviews, maps, and other tourist information, you can read our Esperance trip planning app . You can fly from Perth to Esperance in 4 hours. Alternatively, you can drive; or take a bus. While traveling from Perth, expect a bit cooler days and about the same nights in Esperance, ranging from highs of 26°C to lows of 14°C. Wrap up your sightseeing on the 30th (Tue) to allow time to drive to Albany. Kick off your visit on the 1st (Wed): enjoy the sand and surf at Little Beach, enjoy the sand and surf at Middleton Beach, then get great views at Rotary Lookout Albany, and finally pause for some photo ops at Desert Mounted Corps Memorial. To see where to stay, traveler tips, maps, and other tourist information, go to the Albany trip planner. Drive from Esperance to Albany in 5 hours. Alternatively, you can fly; or take a bus. In April, plan for daily highs up to 25°C, and evening lows to 13°C. Finish your sightseeing early on the 1st (Wed) so you can drive to Margaret River. On the 2nd (Thu), kick back and relax at Hamelin Bay, then identify plant and animal life at Sunflowers Animal Farm, then cruise along Caves Road, and finally do a tasting at McHenry Hohnen Vintners. 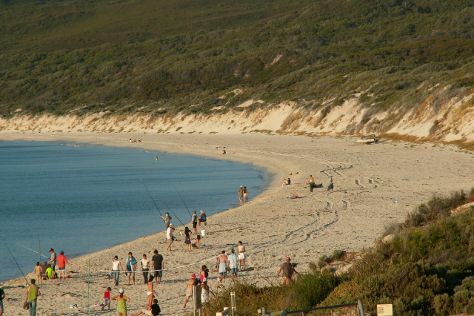 To see photos, ratings, where to stay, and tourist information, read Margaret River trip maker site . Traveling by car from Albany to Margaret River takes 4.5 hours. Alternatively, you can take a bus; or do a combination of flight and bus. Finish your sightseeing early on the 2nd (Thu) so you can travel back home.